Red, juicy, ripe tomatoes, crisp cucumbers, dark green parsley, and chewy quinoa...what's not to like? 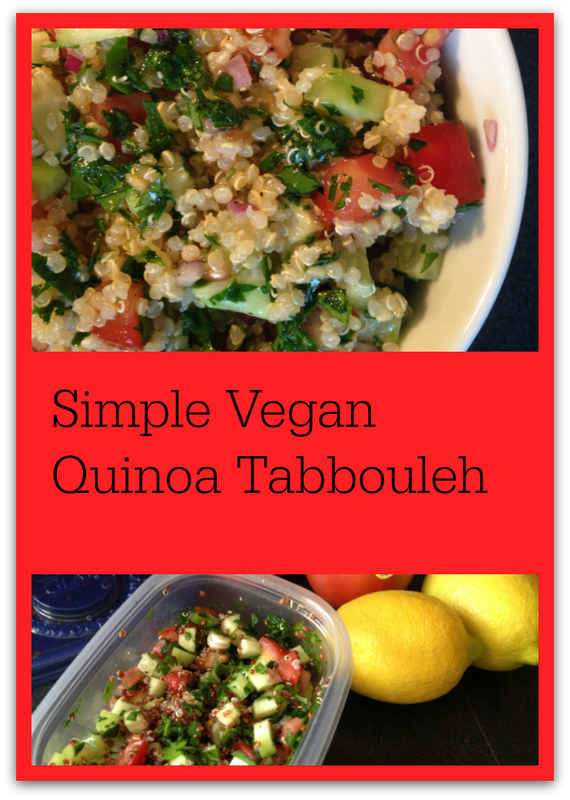 If you're looking for a filling vegan lunch that's packed with healing superfoods, simple quinoa tabbouleh is a great way to go. If my quinoa is pre-cooked and ready for me in the fridge, this lunch takes me about 7-8 minutes to chop and put together. Then, I seal the container inside a gallon ziploc, throw it in my work bag, and I'm set for the day. Toss all ingredients. Can eat immediately, or chill for a couple of hours. In my cooler mountain climate, it rests in my book bag all morning until lunch (without refrigeration) just fine.